Both Penhill Celtic and Swirly Temptress put in strong performances with Giovanni in the Six Year Old Championship at Osberton. Swirly Temptress performed the better dressage test, 27.6, but lowered a show jump while Penhill Celtic finished on his dressage score of 31.1. 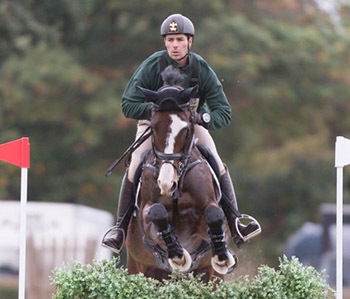 The horses finished 12th and 14th respectively, out of 78 starters, with just half a penalty separating their scores. Kathryn and Brookpark Momentum were in the same class and also had a rail down but jumped a solid cross country clear to finish mid-field.